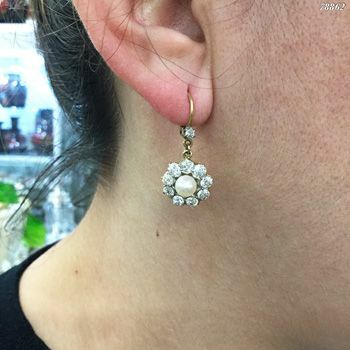 A wonderful pair of Edwardian 14kt yellow and white gold drop earrings that feature 2 off-round, oval rosy-white cultured pearls, approx. 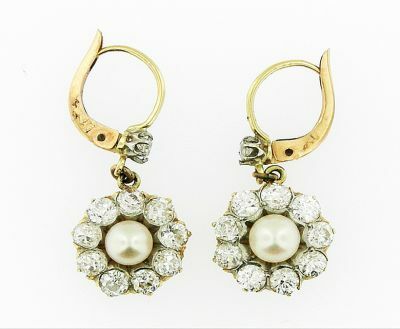 4.80-5.30mm and 20 old European cut diamonds, est. 1.85ct (clarity:SI2-I2 & G-J colour).